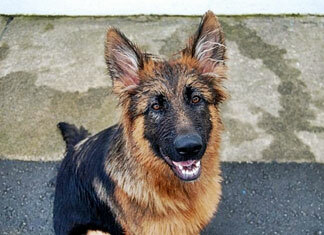 Hi, Ok, this is my German Shepherd. His name is Aris and he is 11 month old. This picture was taken about 3 month ago. My name is Ivana, we are from Serbia. Well, as any young dog, Aris is very lively and restless. He makes my day more beautiful, he is one of the reason why I laugh (the second one is my other dog Linda, she is 20 years old). Thats so funny, I Have a 4yr old german shepherd dog and I named him Aris too! wow, very cute dog! Real beauty!